Item Number: 810-S3068 18373 Actual Weight: 0.5 lb. 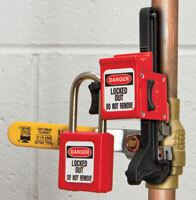 Provides effective lockout for ball valves up to 4". Easy-to-use, lightweight and compact for storage. 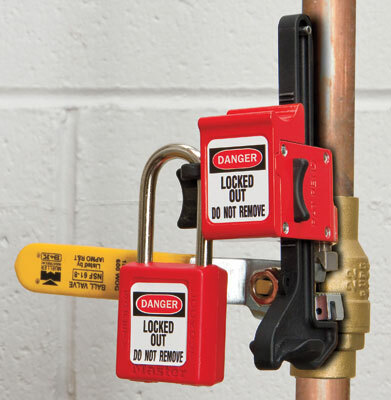 Handle-on lockout style clamps tight on handle stop and defies corrosive environments and temperatures from -70°F to over 350°F. Padlocks sold separately.